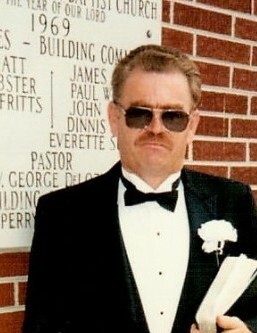 Brother Fletcher Roy Bean Sr., age 63 of Lake City went home to be with the Lord Wednesday, August 29, 2018. He was of the Baptist faith and attended Faith Baptist Church in South Clinton. He is preceded in death by parents Harold R.L. and Mary Daugherty Bean; daughter Susan Bean Simpson. He is survived by wife Janet of Anderson County; sons Fletcher Bean Jr. & wife Laura of Caryville, Harold Bean & wife Mandy of Lake City; daughter Stacie Bean Evans & husband Jonathan of Lake City; son-in-law Brian Simpson; unofficial adopted daughter Lisa Kennedy; brothers Jack Bean Sr. & wife Jackie of Lake City, Homer Bean & wife MaryAnn of Ten Mile, TN., Robert Bean & wife Janet of Lake City; 13 grandchildren and 5 great grandchildren. Visitation will be 5-8 PM Friday, August 31, 2018 in the chapel of Martin Wilson Funeral Home followed by funeral service at 8 PM with Rev. Phillip Lane and Rev. Larry Tilley officiating. Friends and family will meet 12:30 PM Saturday, September 1, 2018, at Martin Wilson Funeral Home to go in procession to Little Community Baptist Church on Bush Road in Clinton, TN., for the interment.